Ornamental alliums are on the rise and popping up in magazines, on Pinterest boards, and in gardens across the country. Most alliums have a long, leafless stalk topped with a globe-like bloom. The flowers are filled with nectar attractive to pollinators. Deer are another reason alliums are popular; it’s a plant deer tend to avoid. Alliums are members of the onion family. Like their culinary relatives, garlic and shallots, most alliums grow from bulbs. Planted in fall, they bloom from late spring to early summer. Small-headed alliums have their own appeal. Their flowers emerge from a dense clump of foliage that stays green and lush all season long. Bloom time for these non-bulb alliums starts in early summer and extends through fall. 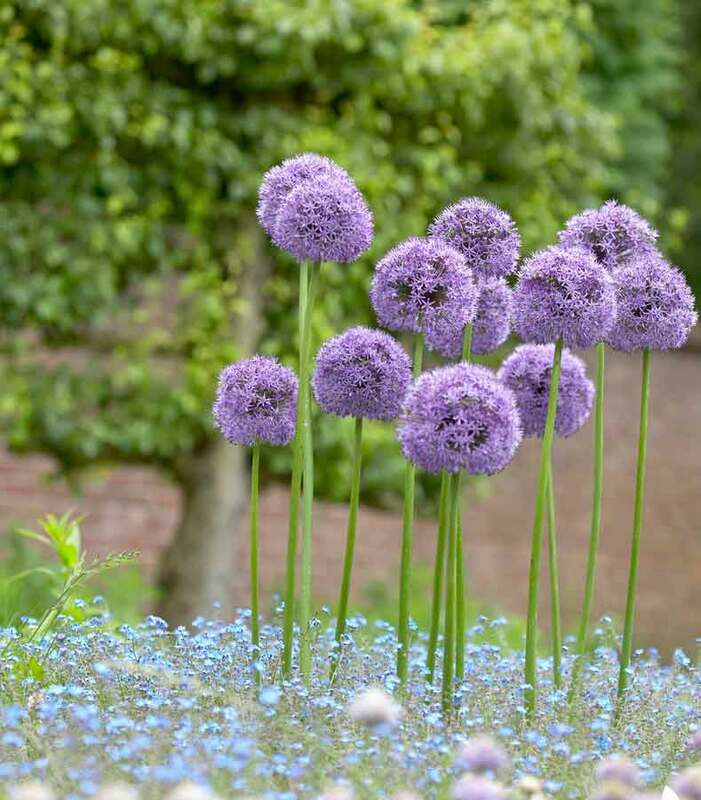 Clump-forming alliums can be planted anytime during the growing season. Alliums are tough and not fussy about soil, though the ones with large bulbs require good drainage.